Snow, ice, wind and slush can all wreck havoc on railroad operations. Winter is just a season for most of the lower 48. However, planning for winter and its slew of challenges is a year-round job for railroads. Avalanches can close routes and sub-zero temperatures can affect switches and engines. Plus, heavy snows can drive large game to follow cleared tracks. According to a report in the Juneau Empire, between October 2011 and January 20, 2012, 118 moose had been killed on Alaskan tracks. While an average moose that weighs between 1,200 to 1,500 pounds is no match for a locomotive, hitting one can be a sad and stressful experience for personnel. RT&S asked North America’s most northern railroads, Canadian National, Canadian Pacific and the Alaska Railroad how they are preparing for and dealing with winter weather. Freight train en route near Jasper, Alberta, Canada. Photo courtesy of Canadian National. Canadian Pacific Canadian Pacific has a comprehensive winter plan in place for the 2012 winter season, which includes enhancements to strengthen its operation with contingent resources. 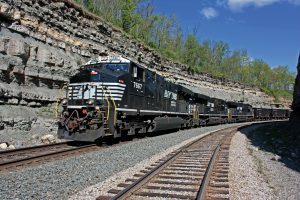 The enhancements include increased staff in key critical locations to keep trains moving; 61 new locomotives in 2011 and 30 new locomotives in 2012, which will improve efficiency in adverse weather conditions and surplus older locomotives will be kept on hand in warm storage, making them easily accessible and immediately available to the operation, if weather conditions deem it necessary and increased snow plows, switch heaters and snow fences in critical areas. 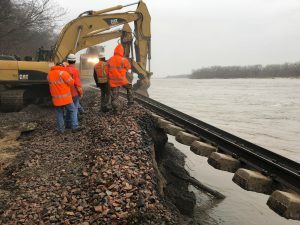 Overall, the railroad says it’s pleased with its current equipment used to fight winter conditions but also notes that it is always open to any new equipment that may emerge. “As you know, railroading is an outdoor industry and subject to all weather conditions, whether adverse or not,” said Kevin Hrysak, media relations manager – Canada. “CP has a rigorous winter planning process and has operating mechanisms in place to respond to all kinds of different weather situations from severe snowstorms, high winds to freezing rain. We have the infrastructure and measures in place to keep trains moving.” CP says it has taken steps to enhance its robust winter plan and protect its service this winter thanks to lessons learned from the extreme, record-breaking weather conditions in 2010-2011. “We have spent several months upgrading our plan and have increased our contingent resources to protect our service and believe we are prepared, if we encounter unfavorable weather conditions,” said Hrysak. Avalanches that block routes are an operational and maintenance headache. ARRC coordinates efforts of its MOW and operations forces to monitor avalanche paths and hopefully avoid this scene. Photo courtesy of the Alaska Railroad Corporation. Canadian National Canadian National’s approach to winter preparation is simple: it’s all about teamwork. 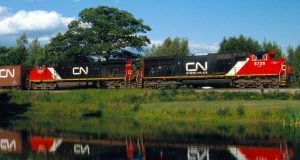 CN has made enhancements to three areas to make sure operations run as smoothly as possible during the current winter season. The enhancements include a bigger winter fleet, an improved winter operating plan and increased communication. The railroad’s winter fleet is composed of 438 distributive power locomotives with 40 additional high horsepower locomotives; 15 new snow fighting machines; five additional rail-flaw detection vehicles, 12 new switch heaters, five switch heaters that have been upgraded from cold to hot air and 101 upgraded hot air blowers. CN says having more equipment in place means it can maintain service standards throughout the winter months. 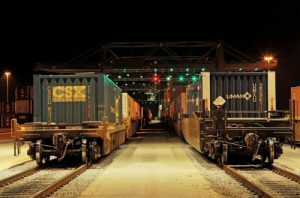 The railroad is also focusing on initiatives to maintain terminal fluidity, improve communication and strengthen its fleet. Some of those extra efforts include a new drainage system in Prince George, B.C., to prevent flooding, 30 dragging equipment detectors and snow clearing gangs in place at major terminals. Alaska Railroad Alaska Railroad Corporation has two major concerns when it comes to winter. The first is the constant monitoring of avalanche paths, which requires coordination and careful considered judgment for both maintenance-of-way and train operations. The second is the extreme cold. The north end of ARRC’s system occasionally sees daytime highs of -32F. “Cold weather patrols and train operating restrictions are used to mitigate this risk. 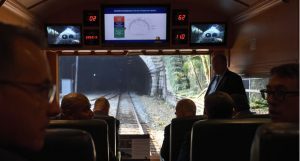 The ARRC also installed a wheel impact load detector and we are seeing favorable results from controlling shelled wheels in cold weather,” said Tom Brooks, vice president of engineering. While yards on the ARRC use graders, loaders, along with D6 cats and excavators for snow removal, most of the railroad’s snow removal operations employ ballast regulators. As snow accumulates, the railroad will run a snow fleet with a Jordan Spreader to push the snow further back, creating more storage for the ballast regulators. Although, notes Brooks, larger ballast regulators may eventually eliminate the need for Jordan Spreaders and snow fleets. ARRC also performs winter preparation during the warm weather months. Brooks says the railroad has an active summer program to upgrade avalanche paths with improved detection devices, mitigation or monitoring. “We have a short summer season, so our summer equipment has to quickly convert to winter. This is particularly true of ballast regulators,” said Brooks. Perhaps the best tool ARRC possesses to fight winter is a healthy sense of reality. “It’s Alaska,” said Brooks, “winters are always tough.” A CP locomotive in winter. Photo courtesy of Canadian Pacific.